The Lockheed Martin team developing the U.S. Air Force’s next generation Global Positioning System (GPS) recently turned on power to the bus and network communications equipment payload of the program’s second satellite designated GPS III Space Vehicle 2 (SV-02). The successful powering on of GPS III SV-02, on December 19, 2013, at Lockheed Martin’s Denver-area GPS III Processing Facility (GPF), is a major production milestone which demonstrates the satellite’s mechanical integration, validates its interfaces, and leads the way for electrical and integrated hardware-software testing. “The GPS III SV-02 bus power on is a significant milestone, positioning SV-02 in line with the Air Force’s first GPS III space vehicle, SV-01, in our GPF, where both satellites are progressing through sequential integration and test work stations specifically designed for efficient and affordable satellite production,” explained Mark Stewart, vice president for Lockheed Martin’s Navigation Systems mission area. On November 11, 2013, the propulsion core module for SV-02 was delivered to the GPF from Lockheed Martin’s Space & Technology Center, in Stennis, Mississippi, where the core was manufactured. The structural backbone of the satellite, the core contains the integrated propulsion subsystem that allows the GPS III to maneuver on orbit immediately after launch, as well as to conduct repositioning maneuvers throughout its mission life. The GPS III program will affordably replace aging GPS satellites, while improving capability to meet the evolving demands of military, commercial and civilian users, Lockheed Martin said. 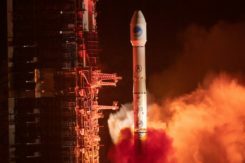 GPS III satellites will deliver three times better accuracy; provide up to eight times improved anti-jamming capabilities; and include enhancements which extend spacecraft life 25 percent further than the prior GPS block. 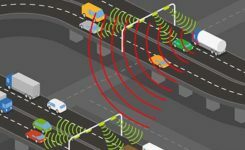 The GPS III also will carry a new civil signal designed to be interoperable with other international global navigation satellite systems, enhancing civilian user connectivity. Lockheed Martin is under contract for production of the first six GPS III satellites (SV 01-06), the first four funded under the original contract and the fifth and sixth recent fully funded by an exercised Air Force option on December 13, 2013. Lockheed Martin had previously received advanced procurement funding for long-lead components for the fifth, sixth, seventh and eighth satellites (SV 05-08). The first GPS III satellite (SV-01) was powered on February 28, 2013. GPS III SV-01’s spacecraft bus and antenna assemblies were delivered to Lockheed Martin’s GPF this summer. SV-01 is now in the integration and test flow leading to delivery “flight-ready” to the Air Force. The GPS III team is led by theGlobal Positioning Systems Directorateat the U.S. Air Force Space and Missile Systems Center. Lockheed Martin is the GPS III prime contractor with teammates Exelis, General Dynamics, Infinity Systems Engineering, Honeywell, ATK and other subcontractors. Air Force Space Command’s 2nd Space Operations Squadron(2SOPS), based at Schriever Air Force Base, Colo., manages and operates the GPS constellation for both civil and military users. 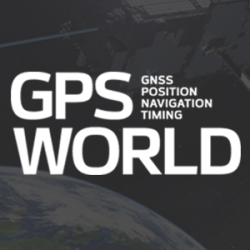 1 Comment on "Lockheed Martin Powers on Second GPS III Satellite in Production"